We keep hearing about ‘Traveling’ these days. Be it in social gathering or any other forum we are always spotted discussing either where did we visit, how was it or where we are planning to go . In earlier days it was all about fixed lifestyles. The idea was to go to school, university and start working and then settle down. It was all about being stagnant. I am not sure how important was traveling then, but now I see, it is becoming one of the most important ‘phenomenon’. Have you ever wondered? How has this evolved? Here are my thoughts about the same. The answer lies in our lifestyles yet again. We have been working for years to build that perfect world around us with all facilities to reach perfection. Once we attain perfection we end up landing in much more man-made surroundings.As a result, we turn around looking for imperfections from these perfect surroundings and we call it – visiting nature! Imperfection reminds me of my visit to Barcelona, the architectural land of Antoni Gaudi. 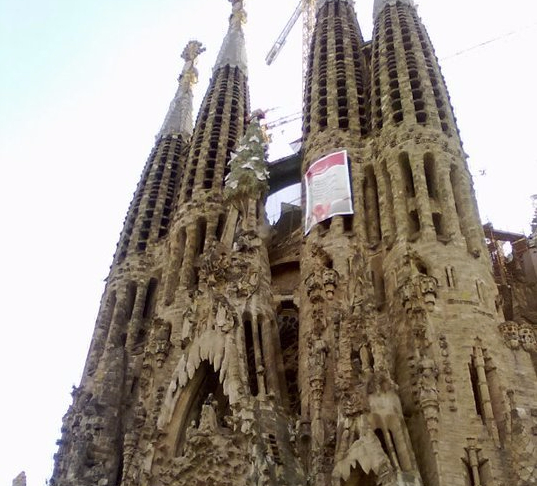 As I noticed Gaudi’s inspiration was nature because I realized that his work as all asymmetrical. We were told by the local guides that since nature is about freedom Gaudi’s designs followed the same route. It shows clearly the quest for freedom by going nearest to nature. Sagrada Familia is Roman Catholic Church in Barcelona designed by Antoni Gaudi . Coming back to the discussion, we try to create the perfect lifestyle and by doing so, are unconsciously going away from nature and freedom. So, with this logic, more perfect you are, it is more likely you are away from nature .This very distance is building up a quest in all of us to seek freedom and that is leading us towards nature. It’s a cycle we cannot deny. We can give it a term like ‘wanderlust’ but the fact is that it is the only way we connect with ourselves and feel free. So, traveling is important if you want to connect with yourself Moreover it is increasingly becoming a phenomenon. Traveling creates a balance and brings us back to our real self. Traveling is also an expression of our personality and since no two people can be same their travel experiences also cannot be same. What is important to understand that we might visit the same destination yet our experiences will not be the same. 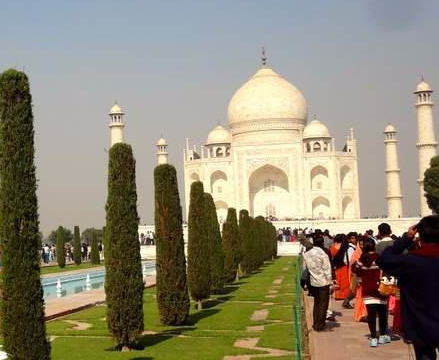 If a local from Agra, India visits the Taj Mahal, he might find it as a very usual experience. However, ask the couple who booked a long expensive flight from the other end of the world, imagine how they see the exact same monument. So it is up to your inner self how you connect with this phenomenon called traveling, but I can confirm that this journey will be very interesting. Taj Mahal, Agra, India. One of the seven wonders of the world. As they say, we all have our time zones, some start early, some late but sooner we start traveling the better it is for our lifestyles. No matter where you are or what age you are, it is highly recommended that you pack your bag and travel to that very next destination – because you will connect more with your inner self away from man-made perfections and find true freedom. Art is a form of expression and it will not be wrong if we term traveling as an art. Each one of us wants to express ourselves.We travel in our own different styles, we observe same things but we feel and learn differently, such is the dynamism of traveling and this makes it interesting. The travel we are discussing here is the one which you do to inspire yourself or the way it makes you happy. Going to familiar places, again and again, can also make the experience different and going to unknown is altogether very thrilling. Moreover, if we have been blessed with a beautiful world why shouldn’t we go ahead and explore it. It was during my visit to Sri Lanka that I discovered how limited our thinking is. I started from the capital city of Sri Lanka, Colombo and reached the next destination the world famous Bentota that defined to me how I pictured Sri Lanka. It was a feeling of seeing it all and I was good to go back. But, I decided to explore further, the quest for seeing the unseen was overtaking me strongly. So , I took a train to an unknown and unheard destination called as Hikkaduwa that is simply heaven on earth. I decided to stay there and spend the next few days as close to the serene blue water, snorkeling and surfing right where I stayed. I thought there’s no place better than that, yet again I picked up my bags and took a local bus to an unknown destination.I stopped the bus in the middle of our journey and walked through the lanes and reached heavenly turquoise beach Unawatuna. Unawatuna beach in Sri Lanka, one of the most beautiful beaches I have seen. Yes it was better than any place before and I felt like a true discoverer but as you can see I did not stop here and decide to explore further and reached almost the southernmost tip of Sri Lanka, Mirissa. What happened here is unbelievable! I spotted one of my bucket list items staring at my face ‘stick fishing.’ I cannot explain the extent of happiness and excitement I felt because I had always wanted to visit and unknowingly as if nature was holding my hand I was led to this very spot so easily. It was all possible because of the feeling of reaching near to nature and embracing the imperfection. It is for this very happiness of discovering something unexpected that we should travel and keep exploring because here is where we find the “perfect” moment amidst ‘imperfect’ nature! So keep walking and keep watching! Thank you Chad for your positive feedback, I am really glad that travelers like you are liking the details shared and this inspires me to write more on similar themes! Thank you 🙂 !! I always find joy in discovering the small things around me – to be honest I don’t like going to totally new places much becase aside from some very very obviously lovely places, I would generally miss the really interesting things. Plus, I like to be comfortable. Luckily, not everyone is like me though! Thanks for feedback Sol, comfort is also very important part of traveling, sometimes I get into that mode too and it’s fun to just enjoy and observe things nearby as well !! It’s definitely all about the experience! Thanks for sharing. that you detailed The Phenomenon called Traveling. Extremely good job, buddy. Which i love individuals capable of penning. note lots of newspaper definitely . Doskonały wpis, w sumie się z Tobą zgadzam, choć w kilku aspektach bym polemizowała.